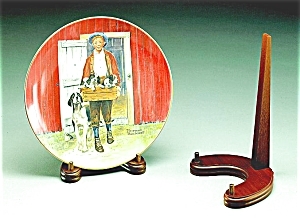 These wood plate stands have a walnut finish and are available in 2 sizes; 6 1/2"H that takes plates size 7"-10" and an 8" H that takes plates size 9"-13". Please choose your plate stand size below. Sold in sets of 12 each.